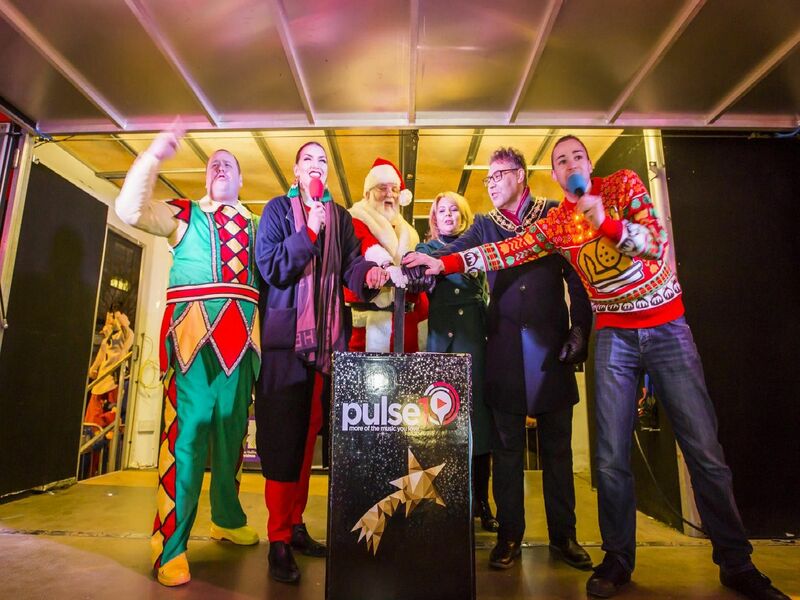 The switch on took place at Woolshops shopping centre. From the left, Jamie Cahill, Ellie Carpenter, 12, Lorren Spancer, 12, Lauren Cahill with Demi Leigh Spencer, three, Dylan Spencer, four, Chris Spencer and Jayden Cross, 10. Father Christmas and the Mayor of Calderdale also attended the switch on along with, from the left, Freya Barker, six, Tegan Barker, 10, Archie Barker, seven and Olivia Leonard, three.